We provide high quality Pump Anti Vibration Mountings. 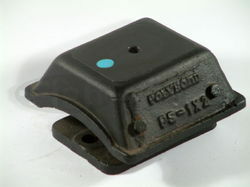 We can provide the anti vibration mountings in Rubber as well as spring as per requirement. We carry along with us 25 years of experience in isolating vibration emitted from the pumps with quality and satisfied clients. Looking for “Pump Anti Vibration Mountings”?